Dr. Beth Warner is a Clinical Psychologist in private practice. For the past twenty years, she has provided psychological and educational testing and evaluation, and psychotherapy. She has worked with children, adolescents, college students, athletes, and adults. Dr. Warner has a special interest in helping individuals experiencing anxiety, depression, grief and loss, and difficulty adjusting to life stressors. Dr. Warner’s therapeutic style is collaborative and strengths-based. Clients are encouraged to take an active role in all parts of the therapy process, including goal-setting, problem-solving, and overall change. All clients, although they come seeking greater understanding or change, are seen as possessing strengths and knowledge about themselves and their worlds. Therapy for adults and children focuses on educating and discovering the root of the problem. Clients are encouraged to express their emotions, and learn effective and practical coping skills. Dr. Warner tests individuals across the age span with learning disorders, attention deficits, and emotional concerns. Educational and psychological testing is tailored to the questions and needs of each client. At the conclusion of testing clients are given practical recommendations to improve performance or adjustment in academic settings, relationships, and in their personal coping. She was a faculty member at the University of Maryland at Baltimore, Department of Psychiatry where she was the Associate Director of the school mental health program, provided therapy and consultation in the Baltimore City Public Schools, conducted research on school-based mental health and community violence for a national center, and supervised graduate level psychology trainees. Dr. Warner was Director of University Parent Consultation and Child Evaluation Service (UPCCES), the child and adolescent psychology division of the University of Maryland Counseling Center, and Assistant Director of the Counseling Center. She also held the positions of Clinical Director of the Bowie Therapeutic Nursery Center, and was a psychologist at Oak Hill Youth Center, a maximum security detention center for youth. She currently provides therapies and psychological evaluations for student athletes at the University of Maryland, College Park. Dr. Warner received her Ph.D. in Clinical Psychology from the University of Maryland, College Park. 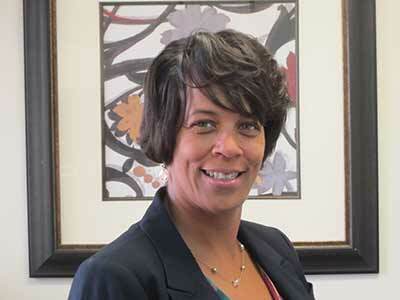 She is a member of the Maryland Psychological Association (MPA) and serves on the MPA Ethics Committee.